Why: Most people will do a lot of presentations in their studies from next year. This is also communication practice, and helps you develop your “elevator pitch” skills, which are important in the workplace (see this example at shopify). Importantly, this is so you and your classmates can find out what is and isn’t good to read for Extensive Reading in the future. What to do: With a partner, together choose a book from the library that you both enjoy, and create a poster about it for the class. The poster should be bright and colourful, with few words. In class, give a mini presentation (2-5 minutes) introducing the book. Include a minute of question & answer time. You will present alone to one or two classmates, repeat the presentation many times, and then change roles with your partner. When you are watching other people’s presentations, find out what you should read next in ER. Give feedback to your classmates about the quality of their presentation. For grades, posters are judged on the amount of useful information they contain, and aesthetics. Your name & student numbers. Extensive Reading Poster Presentation example by students. How to make: There’s many ways to do this. 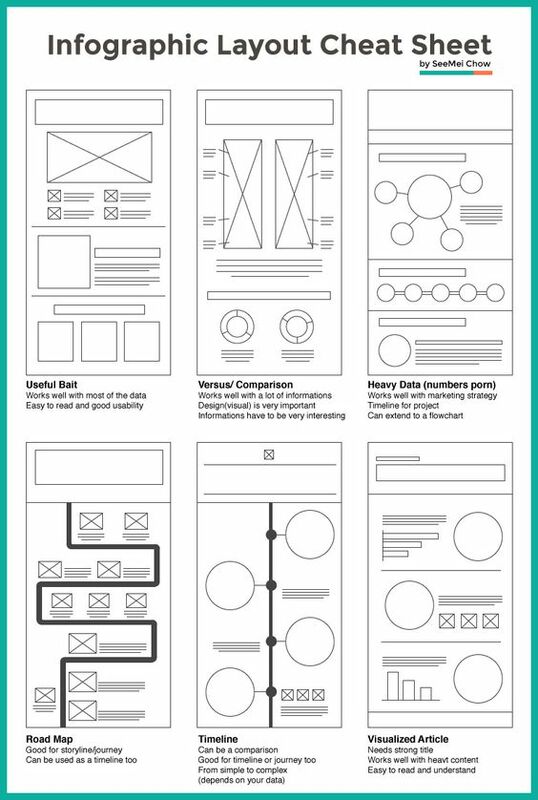 This website, blog/visme.co, has the ten basic rules of designing visually, which will help you a lot. Also see these ideas by SeeMei Chow, infographic info: visual arrangement, and storytelling ideas. Below are three more possible ideas; but really, any style you like. You will have 2 to 3 minutes of presentation time, plus Q&A, for a total of 5 minutes. Perhaps it’s best to structure your presentation like this below. You don’t have to follow this structure, but it can help. Examples of why it’s a good book (examples of metaphors, similes, interesting idioms, funny moments, etc). Conclude with a statement of why the person should/shouldn’t read it. Welcoming: Thanks for coming. I hope you will get something from this presentation. Introduction: In this presentation, I’ll give you information about [summary], [themes], [language like similes & metaphors], and then my conclusion. Conclusion: To wrap up. In all, … I do/do not recommend this book, because… Finally, I give it  stars out of five. Q&A and end: Do you have any questions? Thanks for your attention and your questions. Enjoy the other presentations. For more ideas and help for presentation gambits, see Presentation language.ppt (by A.Blyth, 2017). One person will present, and the partner will see other people’s presentations. You will present many times. Then halfway through, you will exchange roles with your partner, and see other presentations. Never read the poster; talk to your audience. If the person wants more info, they can read or ask you in Q&A. The audience wants to hear from you, so prepare a simple script. Example showing that ER posters are presented by one group member to someone from another group. What do you think? How about [suggestion]? What colour should use here? What kind of picture should we use? How about this? [show] What can we put here? What do you think of [suggestion]? Could we [suggestion]? Is this [big enough]? I’ll borrow a [red marker]. Can I borrow a red marker? That’s a good/great idea. Sure. / I think so too. Erm… I don’t think so. Erm… how about [other idea]? Poster presentation concept inspired by J.Wood.